Now I lay me down to sleep, I pray the Lord my soul to keep, If I shall die before I wake, I pray the Lord my soul to take... When thirteen-year-old Sky Monroe arrives at her new boarding school, all she can think about is death and connecting with the afterlife. 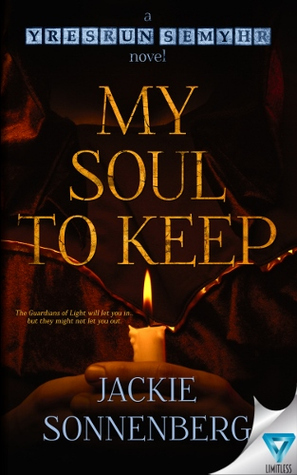 Soon she discovers her school's spirituality group called Guardians of Light-and they have a secret. The Guardians of Light can speak with the dead... When Mitchell Brooks, the teacher and leader of the group, reveals this unnerving secret to Sky-though this is exactly what she believed she wanted-she learns the organization is rapidly becoming a cult. Now she's concerned she and her friend Damien will not be permitted to walk away. Danger and death lurk around every corner... The campus house, where Sky resides, is haunted, and the spirits have their own agenda. December 21, 2012 threatens the end of the world, and Mitchell and the spirits have special plans in store. They just might bring Sky closer to the afterlife-and possibly beyond-than she ever imagined. Sky is looking for a connection to the afterlife, but what she finds may be more than she bargained for...because what lies after life is death. Disclaimer: This book was given to me for by the author for free in exchange for an honest review, in no way my opinion about the book was affected by this. I judge the books only not the authors. When I read the description of the book and what will be about I thought that it’s going to be some of those ghost horror stories that you tell over a fire camp and get everyone scared for a while and that’s it. Do not get me wrong here I enjoy those kind of stories, but they are pretty much the same and repetitive. Gladly the author proved me wrong and I am so glad about it. The most shocking part (in a good way) of the whole story was when I found out that it is actually based on real life events and that the author conducted interview with people that have had paranormal experiences. And these facts made the book much more enjoyable and interesting. I really liked that there is no romance in this book and the storyline itself is engaging and makes you flip the pages to find out more and more! The development of events was progressive and the elements that pulled together the story were really well put in place. I love paranormal books and this one did give justice to this genre. The only thing I did not enjoy was the writing style or most precisely I had difficult time distinguishing the voices and had to re-read a conversation twice in order to be able to understand who is saying what. But other than that it was very enjoyable read. Go and pick it up if you like this kind of books this one will not let you down! Jackie Sonnenberg is an author living in Orlando, Florida with a background in journalism and creative writing. She wrote for local newspapers in both print and online before publishing her first book. She wrote and published three requested reference titles under Atlantic Publishing on business, housing, and pet care. She indie published her first novel ALL THAT GLITTERS before diving into the right genre for her. Now able to focus on her true calling to the dark side (don’t blame me, they had cookies!) Jackie is outlining the YA Horror series YRESRUN SEMYHR which is a sinister re-telling of the classic Nursery Rhymes. A big thanks to BookTasters and Jackie for this opportunity.